The shabby chic trend has been going strong for some years now. Managing to strike a balance between elegant and laid-back, it’s not hard to see why it’s been a hit with home owners for so long. Key themes of this interior look include distressed wood, soft fabrics in subtle shades and vintage floral patterns. Shabby chic interiors also tend to have a rustic yet classy French touch. Being a creative bunch here at The Knitting Network HQ, we think the best way to experiment with this theme is making the little details that can transform a room yourself. To give you some inspiration, we’ve curated a list of our favourite shabby chic crochet patterns available to shop in our online store right now. Using an assortment of stitches, this lace blanket promises to add a shabby chic feel to your bedroom. The crochet pattern was first featured in the 5 July issue of Woman’s Weekly in 1952. Texture is another key feature of shabby chic trend, making this round cushion perfect. Worked in circles, the pattern uses a combination of stitch techniques to achieve the asymmetrical design. The motifs for this old-fashioned table mat are worked in trebles and chains. 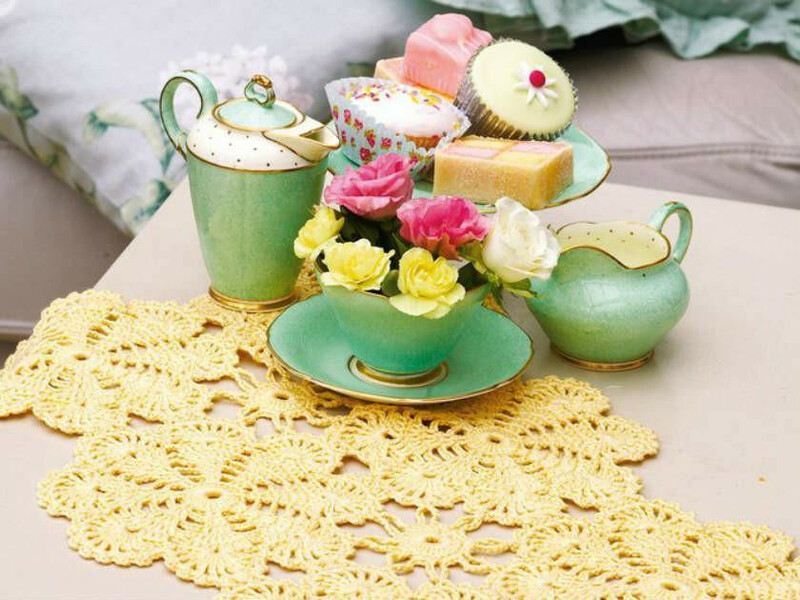 Choose a pastel-coloured yarn and you’ll bring a shabby chic touch to every meal. Originally featured in a Woman’s Weekly magazine published on 19 January 1957, this bedspread will certainly add a layer of luxe to your bedroom. Ideal for beginners wishing to challenge themselves, this tablecloth will be a favourite for years to come. For more suggestions on how to bring a shabby chic touch to your house, take a look at our Pinterest board.